She is from the second crop of triple Group One winner Charm Spirit (Invincible Spirit), who commenced stallion duties in 2015 at Windsor Park Stud, and has already sired over 25 winners from his first crop two-year-olds. Out of a Montjeu (Sadler’s Wells) mare, Charm Spirit was a high-class winner over 1400 metres as a two-year-old in Europe, winning three Group One races in a row over 1600 metres at three (£2 million in prize money) and from a very good family. 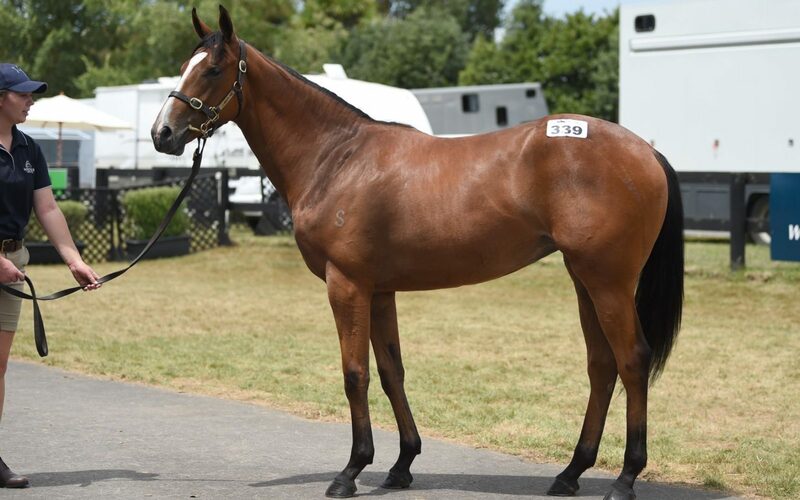 She is from a young mare by a very successful sire in Mastercraftsman (Danehill Dancer), represented in NZ by top gallopers Saint Emilion, Stratocaster, The Auld Floozie, Valley Girl etc. Her grand-dam Polish Princess (Polish Precedent), trained by Mark Walker for Windsor Park, showed plenty of talent winning four times from 1100m – 1400m and finished third in the Champions Mile (Gr. 1, 1600m) at Ellerslie. 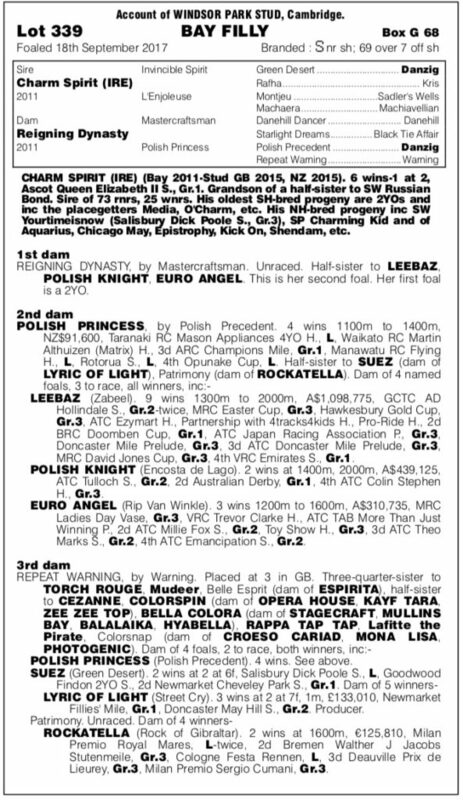 A mare with plenty of quality, in turn she has left three individual winners of 15 races – all multiple group winners including Leebaz (Zabeel), Polish Knight (Encota De Lago), and Euro Angel (Rip Van Winkle). The filly possesses some lovely in-breeding crosses to breed shaping stallion Danzig, immortal sire Northern Dancer, and champion sire Sharpen Up.